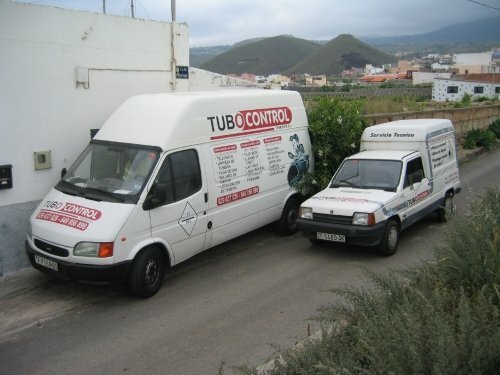 Business Director * Property * Leakage detection * TuboControl Tenerife S.L. Pipe bursts and leakages, no matter being in gas pipes, water pipes or heating systems, inside or outside of buildings are caused by many sources. Most of the time it happens due to faulty material, faulty fitting or simply fatigue failure of the material. In any case it is important to detect the pipe burst directly and being fixed fast.. Any further delay of the repairs can lead to further damage and expenses. TUBOCOTROL Detection technology offers its clients (Water companies, Industrial companies and private households) fast and professional support with the detection of pipe bursts. With years of experience and complete fitted vehicles we can offer a true 24/hour service. We use different techniques, depending on the situation, simple measuring to detect humidity, different acoustic devices and endoscopes. All our technicians are skilled and experienced in the following proceedings, such as infrared, use of inert gas, TV sewer inspection and electric-acoustical detections. No matter how difficult the detection is, our technicians can always choose between various measuring methods and are not restricted to a few methods, which would not lead to a fast detection. Like this wrong diggings will be avoided. This is a Yellow Page entry for the company TuboControl Tenerife S.L. in the branch and in the region Tenerife. Produced with news.CMS in 1,7143 seconds.